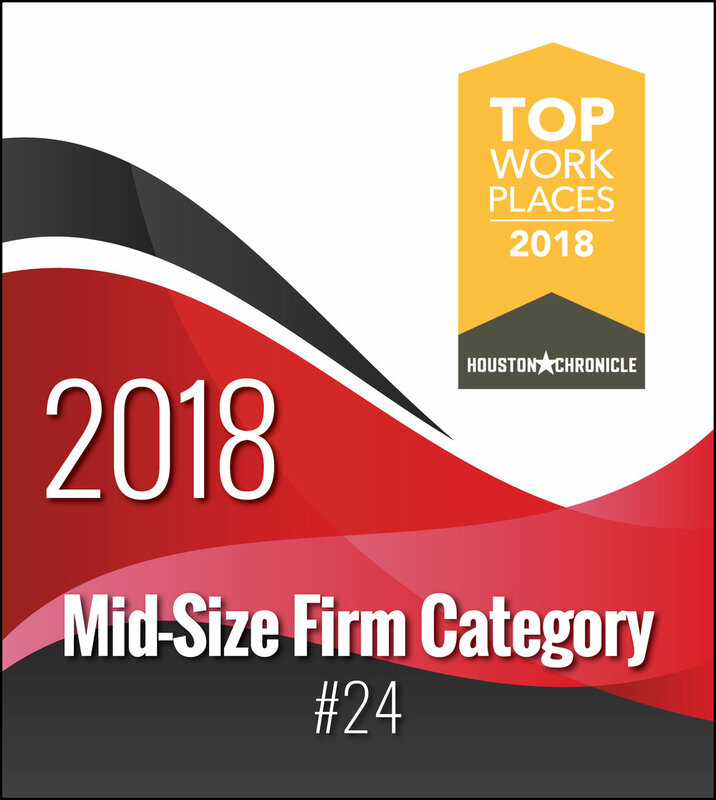 BBI Honored by Houston Chronicle with 2018 Top Workplaces Award — Binkley & Barfield, Inc.
BBI has been recognized by the Houston Chronicle as a winner of this year’s Top Workplaces Award, coming in at #24 in the mid-size companies group. The award rankings are based on feedback from employee surveys distributed by Energage, LLC, a leading research firm that specializes in organizational health and workplace improvement. More than 80,000 employees responded to the surveys, which assessed such areas as flexibility of work schedules, pay and benefits, and communication. According to the Houston Chronicle, more than 81 percent of employees who responded to this year’s survey said that their jobs make them feel like they are part of something meaningful. Several of these responses also mentioned how their workplaces responded during the crisis of Hurricane Harvey. For many, these experiences brought more meaning to their work than receiving an increase in wages or improved benefits. Employees also identified company direction, feeling appreciated, and feeling part of something meaningful as the factors they care about the most. For more information about the 2018 Top Workplaces Award, click here.